Middle-school math contests such as MATHCOUNTS are a launching pad for many of the best math students. 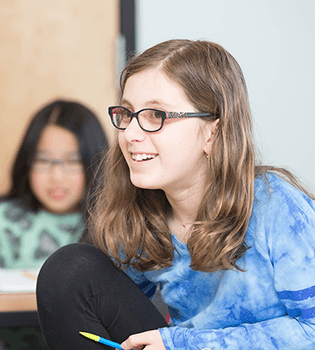 In this course designed for rising 6th through 8th graders, we draw problems from several middle-school contests, including MATHCOUNTS and the American Mathematics Competitions 8 (AMC 8), as well as beginning high-school contests like the American Mathematics Competitions 10 (AMC 10). Students are introduced to important topics in algebra, counting, and probability, and will work individually or collaboratively to solve challenging problems related to these topics. Students will also participate in practice individual and team competitions during the camp, which will provide them both mathematical skills and test-taking experience that will prepare them for key events in the upcoming school year. This two-week course meets Monday through Friday for three hours each day. Space is very limited for our summer programs. Please do not wait until the last minute to enroll. If there is more than a week before the course starts, a $200 deposit will be due when enrolling, with the balance due one week before the course begins. Below are examples of some of the types of problems that students will encounter in our Middle School Math Contests: Algebra and Counting course. "AoPS Academy is such a valuable resource for my two daughters and our family. We kept hitting brick walls with our former school and the Director of AoPS Academy was the first person to honestly explain to us options and provide us with information so that we could make informed decisions about their education. For that we are forever grateful and trust him beyond measure. AoPS Academy is far more than just an after-school academic training center. They have gone above and beyond to help our children's talents develop into their full potential. Art of Problem Solving Academy will continue to be a key part of our long-term education plan. The results have been amazing! They are truly my children’s first school, even though they are an after-school program!"